The state representative who requested a review of property assessments in every Illinois county said Tuesday she expects a written response this week. 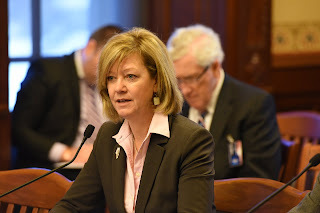 In August, Rep. Jeanne Ives, sent a letter to the Illinois Department of Revenue asking for the review. The request came after Coles County began reassessing commercial property for the first time in 16 years and after a school superintendent from Perry County told lawmakers his county had not reassessed property since the early 1980s, even though state law requires those reassessments every four years. Read the story here.